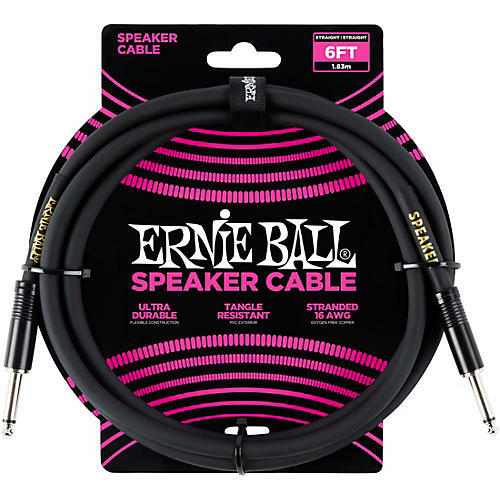 Ernie Ball speaker cables feature a high-quality design made with superior components that are built to last. The 16 gauge conductors deliver reliably clear signal and the durable PVC jacket exterior ensures long-lasting performance. Part number P06071.